Ofcom has released the latest details on which internet service providers garnered the most complaints and there's no change at the top. 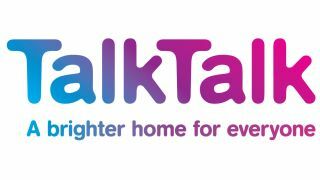 According to Ofcom's data – which looks at complaints per 1,000 customers to make sure every ISP is seen on an even keel – TalkTalk remains at the top of the consumer's (s)hit list, with the ISP seeing up to 0.56 complaints per 1,000 customers. This was followed by BT with 0.38 per 1,000 and Sky saw 0.15 complaints per 1,000 for customers. Most of those grumbling to TalkTalk were focusing mainly on the company's line faults and service issues. One piece of solace for TalkTalk is that its ratio of complaints is actually subsiding – from 0.61 to 0.56 per 1,000 people. For the first time, Ofcom has actually looked into the Pay TV market and it seems BT Vision is the most complained about in that arena – with Sky receiving fewer complaints than BT and Virgin Media. These figures are only taken from a 6-month package of data but the good news for BT is that complaints did drastically drop from Q4 2011 to Q1 2012 – from 0.38 to 0.27 complaints per 1,000 users. Sky and Virgin Media's complaints stayed steady at 0.3 and 0.8/0.7 respectively.